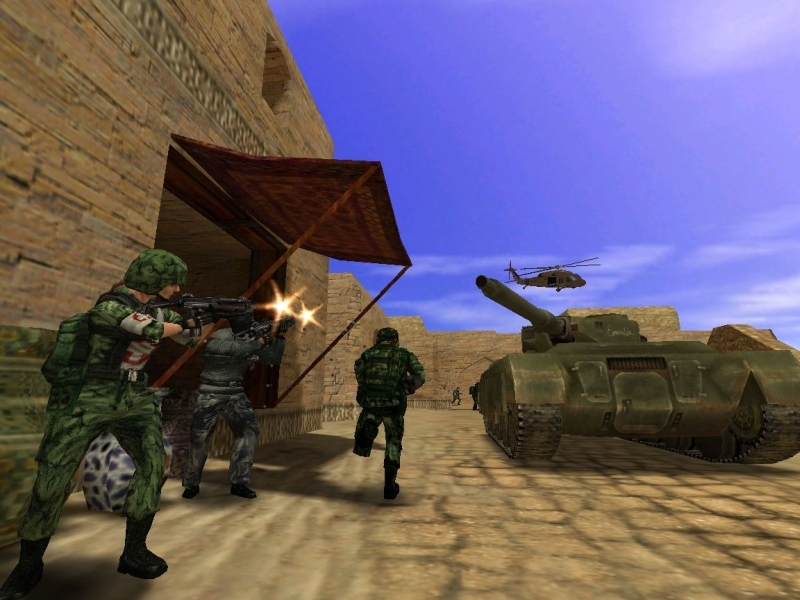 Discussion in 'PC Games' started by Zerstorer, Jul 14, 2006. At EA's latest conference where they showed off some upcoming games, Valve announced that TF2 is finally getting a release as the included multiplayer aspect of HL2: Episode 2. Well, Team Fortress 2 is back and will be included with Episode Two, and it looks like nothing else on the market. 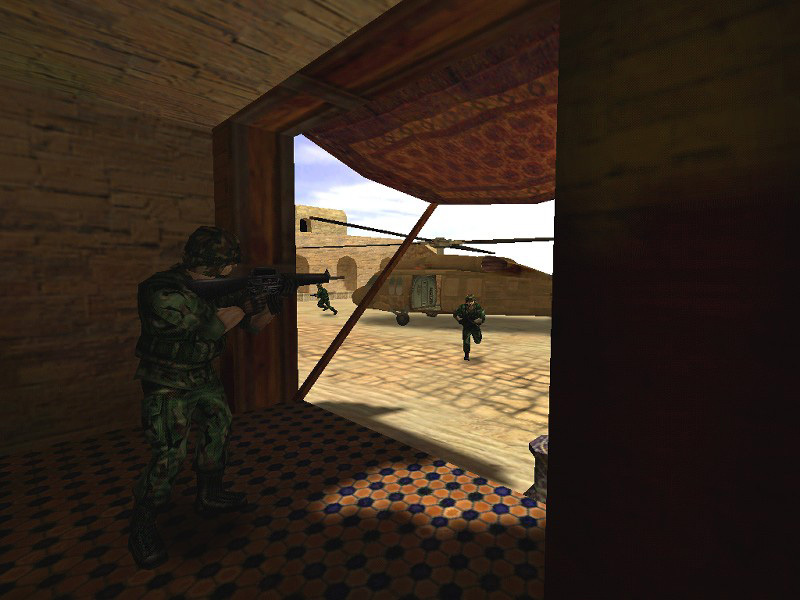 Newell explained that Valve wanted to make this action game distinct, so the graphics (which use the Source engine) look like a Pixar animated movie. To reinforce this, the carious character classes in the game look like cartoon caricatures. These include the Medic with the huge needle or the Demoman with the sticks of explosives. Other classes include the Heavy, the Spy, the Scout, the Engineer, the Sniper, the Soldier, and the Pyro. Newell says that the goal with Team Fortress 2 is to create “the best looking and best-playing class-based multiplayer game.” Team Fortress 2 is certainly unique in appearance, so we’ll see how it plays. Thats.. what.. 5 years late? 7 years? Does anyone think that sounds like a piss-take? And IIRC, TF2 was originally based on the Quake mod, which was prior to the HL mod. I know I've been waiting for TF2 since around 1997/98. Sounds more like TFC Source than the TF2 we were all secretly hoping for. Erm.. they are making it look like a cartoon? So they've completely given up on making an actual Teamfortress 2 (as shown here) and are instead shipping a warmed over turd disguised as a cartoony TFC. That's sad news for an old school QWTF fan like myself. sounds fake, oh well maybe they're going a little crack crazy. Um... TFC was never realistic? It never was meant to be, whacking people with wrenches to fix armour, giving people AIDS, traversing whole maps with 2 conc nades, that's TFC. I'm glad they are not making this some BF2'esque realistic game where you can't run or jump. Part of a half life expansion pack ? Even Dod source got a retail release wtf ? Don't know what to make of this "news". I guess it will be better than nothing and will keep us occupied until real TF2/TFC2/??? is ever made or completed. It's a joke. Read the quote. It's got Joke written all over it. I bloody hope not...I loved QWTF and althought TFC was ok, I waited patiently since 1998 for Valve to release this dam game. EDIT::::: One of the Valve developers on the DoD Forums even said they are working on it right at this minute!! I'm in, QWTF changed my life. TFC was the most enjoyable game i have ever played. This is gonna be another awesome game! [ edit by sabretooth: Are the bridges for the trolls in this thread not providing adequate shelter tonight? Fool, loads of people love DoD. Your opinion is worthless.